At Newcastleparking.com we are always working hard to ensure that we offer the very best parking, hotel and Park and Fly deals at Newcastle Airport, at the very best prices. 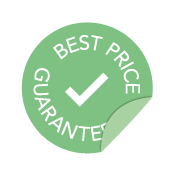 To this end we provide a no-quibble Best Price Guarantee on all bookings made with us. All our prices are inclusive of VAT and all Meet and Greet and Valet Parking prices include Newcastle Airport's 'Airport Access Fee'.